Add a special touch to your wine or vineyard themed event with our grape design wine stoppers. 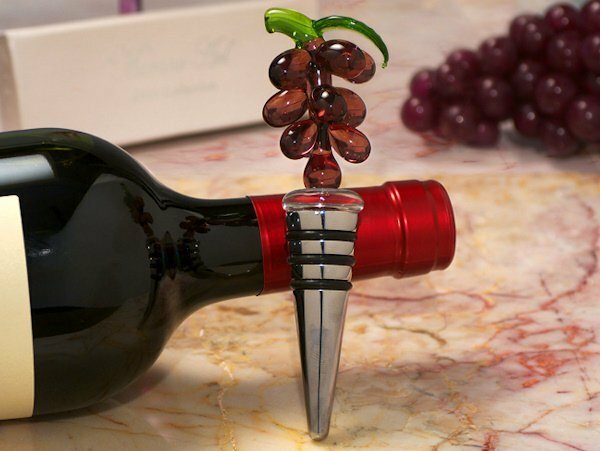 Each glass grape design stopper is attached to a solid chrome base for a useful gift your guests will love. We handcraft each one with Venetian like glass inspired by the artisans of Murano, Italy. Each favor is packaged in a satin lined two piece white gift box. Measures 5" in length.